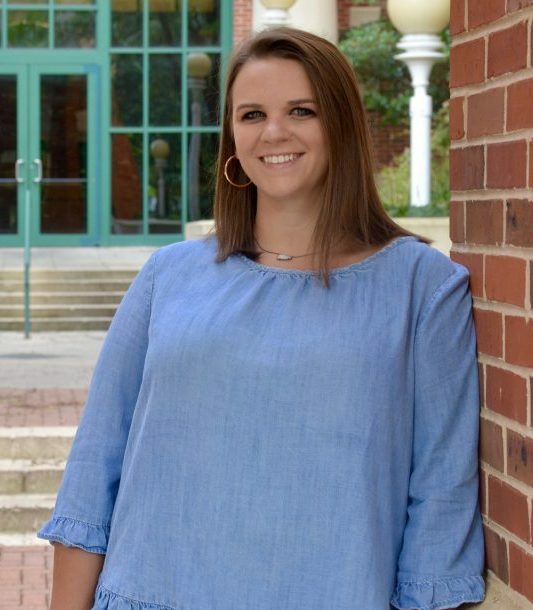 Contact Lindsey at lindsey@olemiss.edu or (662) 915-1323, and follow her on Twitter, Instagram and Facebook to keep up with Early Entry news! Click here for more information about the Early Entry program. Contact Meredith at mapyle@olemiss.edu or (662) 915-2437, and follow her on Twitter, Instagram and Facebook to keep up with admissions news! Click here for more information about the regular entry Professional Program. The School of Pharmacy offers 10, seven-year scholarships of $1,000 per year to select Early Entry Applicants. Continuation of these scholarships is dependent upon retaining early-entry status. All accepted applicants are considered candidates for these awards, and recipients are selected based on admission criteria. Following completion of the freshman year, all participants who achieve at least a 3.5 GPA on required courses will receive a performance scholarship for the second year. The scholarship amount will be increased each succeeding year that the 3.5 GPA on required courses in the preceding year is maintained through completion of the Doctor of Pharmacy program. For more information, contact Lacy Ware in the Office of Financial Aid at lacy@olemiss.edu. To download our viewbook, click here. Pharmacists are the vital—and most accessible—medication experts on a patient’s health care team. They ensure patients get the correct medications in the correct doses, keep track of all medications patients take to prevent harmful interactions, and offer advice to physicians and patients to help manage their medication therapies. Millions of Americans trust pharmacists to administer immunizations and help them manage chronic conditions such as asthma, diabetes, high blood pressure and high cholesterol. Although the majority of pharmacists work in community pharmacies, there is a large demand for pharmacists in a wide variety of occupational settings, including hospitals, nursing homes, research labs, and specialty pharmacies. For a complete list of career opportunities visit pharmacy.olemiss.edu/careers. For a printable list of careers in pharmacy, click here. To become a pharmacist, you must earn a Doctor of Pharmacy degree and pass the national licensure exam. Earning a Pharm.D. from The University of Mississippi requires seven years of study, including three years of pre-pharmacy courses and four years of professional pharmacy courses. What is the Early Entry Program? The Early Entry Program is a unique program that allows qualified high school seniors to apply for and be admitted directly into the School of Pharmacy’s professional degree program. This allows students to avoid the competitive selection process for regular entry admission. All students who complete the three year pre-pharmacy program and first year of the professional curriculum receive a Bachelor of Science in Pharmaceutical Sciences degree. B.S.P.S. graduates must complete an additional three years of study to earn the Doctor of Pharmacy (Pharm.D.) degree and sit for the national licensure exam to practice pharmacy. Acceptance into the Early Entry Program is based on an applicant’s academic ability and aptitude for the study of pharmacy. Two of the primary factors considered are academic performance (GPA + ACT or SAT test scores) and extracurricular activities. Students must also participate in an on-campus interview. A preferred composite ACT score of 25, or a 1130 [Math (M) plus Verbal (V)] or 1700 (M+V+Writing) on their SAT. How many applicants are there each year and how many are accepted? In 2016 there were over 200 applicants for the Early Entry Program and approximately 100 applicants were offered a seat in the class. I know the minimum requirements for the Early Entry Program, but what is the average ACT score and GPA of accepted students? The average ACT score for admitted students in 2016 was a 29.36 and the average weighted GPA was 3.99. What are the advantages of being part of the Early Entry Program? Students who participate in the Early Entry Program are guaranteed a seat in the professional program beginning their fourth year. Applying for the program early takes off the pressure of applying as a junior in college when the competition is tougher. Early Entry students are eligible for additional financial aid opportunities offered by the School of Pharmacy based on classroom performance. Students also have access to professional development events, opportunities to develop relationships with faculty members and are encouraged to take advantage of the free tutoring offered by the School of Pharmacy. How can I help students prepare to apply for the Early Entry Program? Students should maintain a high GPA throughout high school, stay active in their school and local community and work towards the highest ACT score possible. Applicants will be evaluated on their academic achievements as well as the work, leadership, and service demonstrated on their resume. We encourage students to take the most advanced science class offered during their senior year to prepare them for the rigorous pre-pharmacy coursework. Some dual enrollment and AP credit may be accepted, however Early Entry students must maintain a minimum of 14 hours of course credit each semester. For more information, contact pharmstuservices@olemiss.edu or (662) 915-7996. Interview? How can I help students prepare? All students must participate in an interview before they will be considered for admission to the Early Entry Program. To prepare for the interview, students should have a strong grasp on their own personal strengths, the value of personal experiences, and the profession of pharmacy. They should also be familiar with their resume. 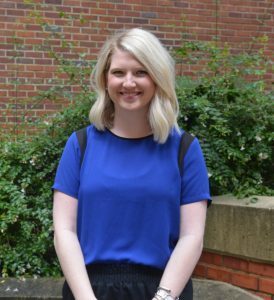 Students should be able to articulate the unique contributions they can make to the Early Entry Program and the School of Pharmacy if accepted. What scholarship opportunities will be offered to Early Entry Students? The top 10 Early Entry students are eligible for a $1,000 recruitment scholarship based on their test scores and GPA. Following their first year in the Early Entry Program, students are eligible for additional financial aid based on classroom performance. Students who maintain a high GPA will be awarded an additional $1,000 each year as long as they maintain a 3.5 GPA or above. If students do not meet the minimum requirements for the Early Entry Program can they still major in pharmacy? How can my students learn more about pharmacy? We host several events throughout the year that give students the opportunity to visit campus, meet current pharmacy students and pharmacy representatives, and learn about our programs. Students can also set up a private visit by contacting one of our Admissions Counselors. For more information or to schedule a campus visit, contact Admissions Counselor Ms. Lindsey Cooper at lindsey@olemiss.edu or 662-915-1323. Contact Lindsey to visit your school! Click here to find Important Admissions Dates and Deadlines. When should students apply for pharmacy school? Students should apply one whole year before they plan to start the program. The July application is encouraged. Does all coursework need to be completed before students submit their application? Although coursework may still be in progress, all coursework must be completed before enrolling in pharmacy school. When should students take the PCAT? The PCAT must be taken during the same admission cycle that the student applies. For example, a student applying Fall 2018 must complete the PCAT between January 2017 and the end of the 2017-2018 testing cycle. Visit pcatweb.info for dates. When will the university application be available? The university undergraduate application will be available in mid-July. See admissions.olemiss.edu for full application details. Do students apply to the university as undergraduate or graduate students? All regular-entry students who are not current University of Mississippi students will complete an undergraduate admissions application regardless of prior degree. Do current Ole Miss students need to submit another undergraduate application? No. Accepted transfer students do not need to reapply, either. What is the recommended GPA and PCAT score to apply? What are the average GPA and PCAT scores for incoming students? Our average GPA for 2017 is 3.58. Our average PCAT score is 410.66. We accept 115 students per year. There are usually about twice as many applicants as available seats. Are out-of-state tuition waivers available? Yes, up to 10 students who score in the 80th percentile or higher on the PCAT can receive out-of-state tuition waivers for the first 2 years of the program. When can I obtain Mississippi residency? Mississippi state law allows students to begin the residency process when they turn 21. All students can obtain residency after their first or second year of pharmacy school, depending on when they turn 21. Students should apply one whole year before they plan to start the program. The July application is recommended. Although coursework may still be in progress, all coursework must be completed the following spring semester to be eligible for admission. The PCAT must be taken during the same admissions cycle that the student applies. For example, a student applying Fall 2018 must complete the PCAT between January 2017 and the end of the 2017-2018 testing cycle. Visit pcatweb.info for dates. Our average GPA is 3.58. Our average PCAT score is 410.66.